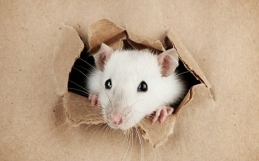 How can you tell if you have mice in your home? The easiest way is to follow the trail. 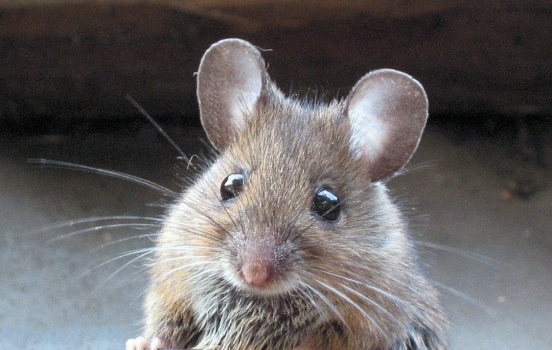 Mice usually come out at night, looking for food, and they usually leave some droppings behind them. 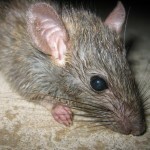 If you have noticed any mouse droppings on your kitchen floor, cupboards, or cabinets where you store food, it’s time for a rodent control strategy. 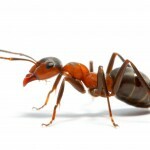 In some situations, it may be challenging to detect that you have a mouse issue in your home. Based on the droppings, it may look like there are only a few of these nightly visitors eating your leftovers. However, we have a good reason to believe that if there is one mouse out there, there will be many more of them really soon. When it comes to mice and rodents in general, prevention is essential. 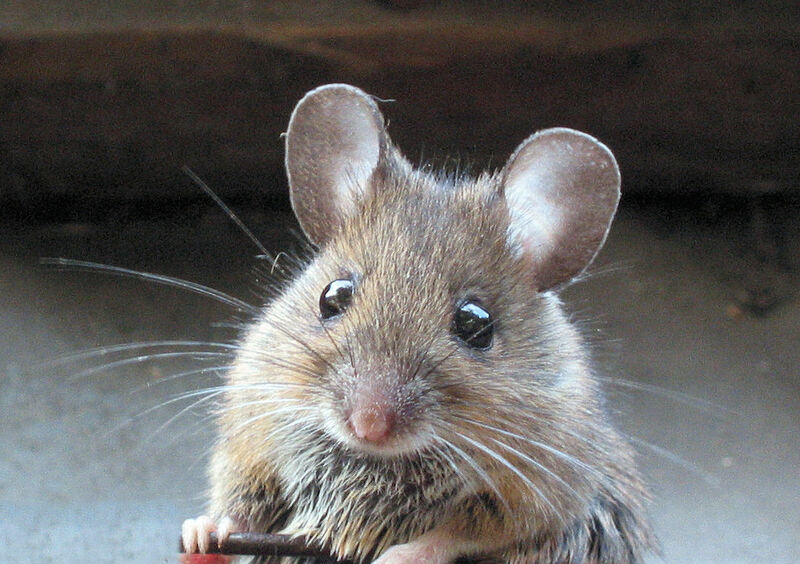 Preventing mice from entering your house is the best rodent control strategy you can have. Preventing them from feeding in your kitchen or basement plays a key role in any effective mice control strategy. This is how you start: look for small holes anywhere in your kitchen cabinets, around plumbing, in wooden walls or floors. Remember, the holes have to be just less than half an inch wide for mice to pass through. In case you’ve spotted such holes anywhere in your home, fix them by using steel wool. The steel wool will prevent mice from getting near your kitchen or other food storage places in your house. Mice usually live in nests. They use your drawers and any kind of boxes for nesting. Make sure you keep crafting materials in closed containers. It is always good to avoid leaving clothes on the floor. This is a simple, yet very effective trap. The spinning can trap will help you catch more than just one mouse in a single trap. This DIY trap is quick to make and you might already have all the elements you need. 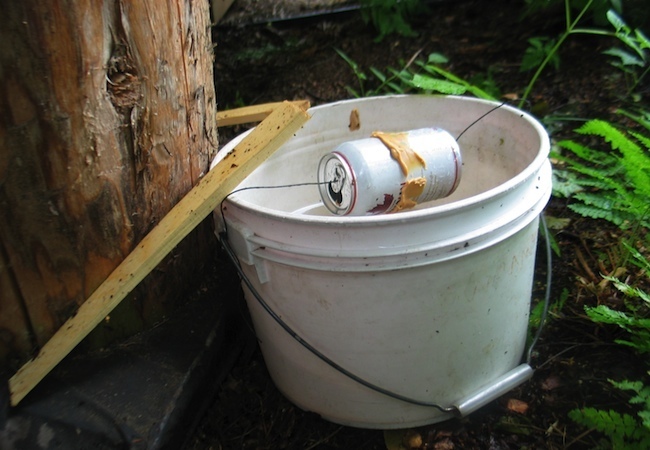 To make this trap you need a four gallon plastic bucket, a soda can, and a round pin (a dowel) made of wood or metal. You will also need a piece of wood (scrap or a small branch) and some peanut butter. The process of making the spinning can trap starts with drilling holes on the opposite sides at the top of the bucket. The next step is drilling holes in the middle of each flat side of the can. After that, stick the round pin through the first bucket hole. Then, insert the pin through the soda can holes and stick it through the second bucket hole. The can should be in the middle of the pin, and loose enough to spin easily on each side. Put some peanut butter on the can, and add the scrap piece of wood on the bucket. Mice should be able to easily get to the scrap and approach the peanut butter. The spinning can trap works when a mouse at the top of the scrap jumps toward the can to eat the peanut butter. The mouse’s weight causes the can to spin, and the mouse falls off into the bucket. You can leave the bottom of the bucket empty if you want to release the mice you’ve trapped, somewhere out of your house or property. Just like the first mouse trap, this one is also very simple. It is a slightly different version of the spinning can mouse trap. Basically, you just need a plastic bucket, a soda can, and some peanut butter or cheese tied around the can. The process of making this mouse trap is almost the same as making the spinning mouse trap, with just a few adjustments. The round pin can be replaced by a wire that will go through the soda can and suspend it over the plastic bucket. You can replace the scrap or the small branch with a ruler which will be placed so the mice can climb up the bucket. It works perfectly either way. This mouse trap is easy to make as well. Take an empty plastic soda bottle and cut the 3/4 upper part. The next step is to invert the top and place it into the base. 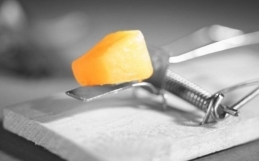 Glue it with a glue tape and put some peanuts or cheese in the hole as bait, so the mouse drops to the bottom. Make sure you grease the channel with some butter so the mouse can not get a grasp. 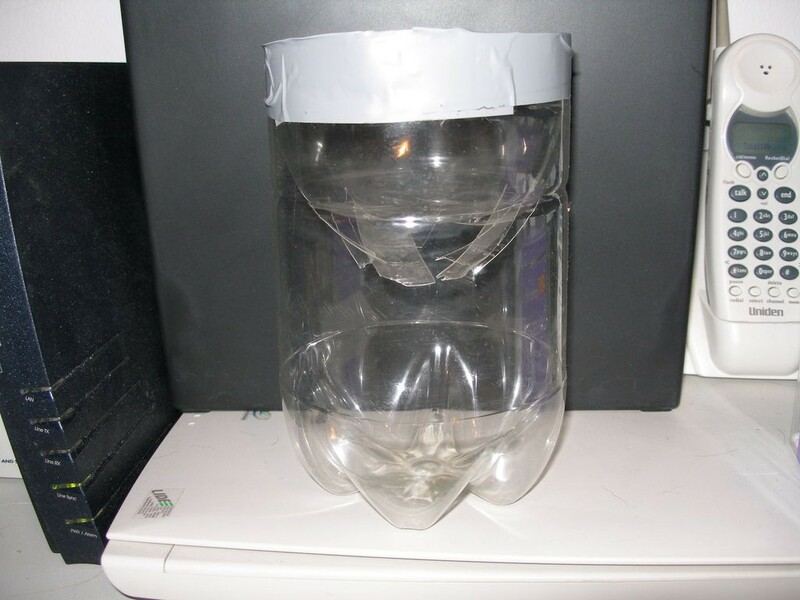 Place the trap near something in your house so the mouse can climb or jump onto the inverted top. Since the only way to go through the channel is down, the mouse won’t be able to climb out. This is a humane and safe mouse trap to use as a rodent control method. If you want, you can easily release the trapped mouse to a safe place afterwards. This is also a simple mouse trap which is easy to make. For this trap, you’ll need a bicycle inner tube which you can cut to a desirable length. The bicycle inner tube should be long enough to be easily put on one end of the mouse hole. These holes are usually found in the walls inside your house, in your basement, or a garage wall. The other end of the tube should lead into a glass jar, which is big enough that the mouse can’t escape by climbing back up. Put some bait in the jar such as seeds or cheese to attract mice. 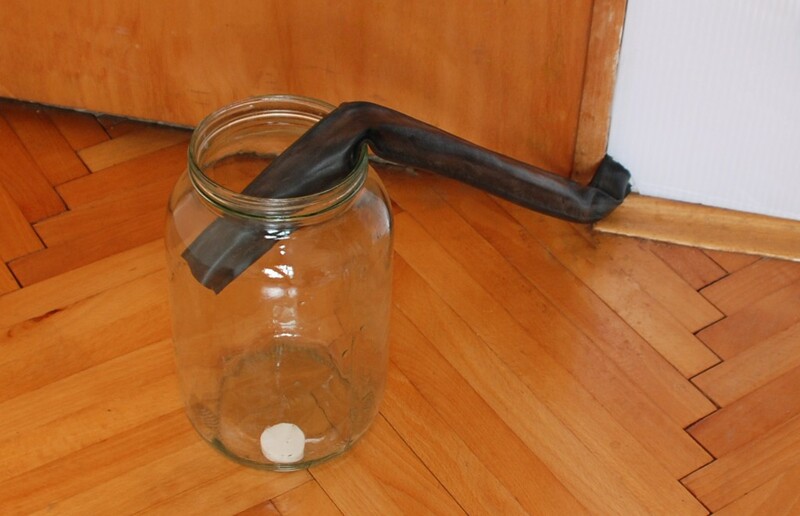 Both ends of the tube should be left open, so the mice can get right through it and end up in the jar. 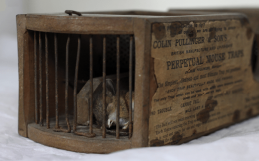 After you trap the mice, you can release them out of your house or property. Cats are not just cute and fuzzy pets, they are also the perfect solution if you have a mouse issue to solve. Even though this is not as humane as the previous solutions, it is highly effective. This method works every time, every place, day and night, without any particular effort on your part. The only thing you need to do is get a cat, leave it in your house and wait while nature takes its course. It’s good to know that having a cat in your home may result with mice being chased away, or becoming your cat’s snack. Either way, this is a natural and effective rodent control method.